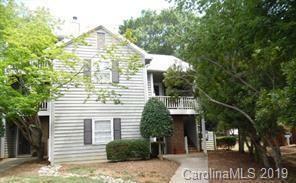 Hunters Run Condos are located in Charlotte, North Carolina on Selwyn Farms Lane. These great condos range from 500 to 1200 square feet with one to two bedrooms and one to two bathrooms. The living room is spacious, includes a wondeful fire place, and is great for entertaining guests. The kitchen is fit for any cook and community features include security, a swimming pool, a playground, and tennis courts. Hunters Run is in a great location in Charlotte, near South End within a mile of many great restaurants and shops. The Panthers Stadium and Bobcats Arena are close by so you can always go watch an exciting, live football or basketball game and many cancerts and other events are hosted around the city of Charlotte. You will find Hunters Run a very pleasant place to live as soon as you move in!